In the Colorado Springs area we have done remodels for many contractors, commercial franchises, property managers. We have even worked for other electrical contractors who have been booked too far out for customers' scheduling needs. 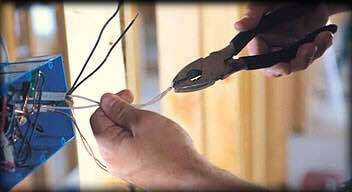 Electrical troubleshooting and repairs are considered one of our specialities. That is why we came up with the term "Jedi Master Electrician". So many customers, after we figured out what was wrong with their electrical system, asked how we could figure out a problem they worked on for so long. We would just point to my name tag.